I gave Tracey a sketchy brief for my website and she interpreted it beautifully and delivered on time. She’s good. Very professional and I recommend her if you are looking for a web designer. It’s not always easy to put exactly what you want from your new web design down in writing. That does make my job a little bit more interesting and where I need to do a bit of content analysis and look at some reference websites. If my clients are not able to write it all down I do have to ask for some references in terms of sites that they like and admire. I also make sure I ask why they like them because experience has taught me that it might not always be for the reasons that I think. Equally I need to see some of the proposed content and images. In a photography website images are everything and so to have a browse through the potential site content really enables me to set the scene and imagine what the website could be. I am not always a big fan of the rotating gallery or image slider but one place they do have a huge value is in Photography websites. I would still probably not recommend them for the home page but image sliders are essential for displaying galleries on inner pages. They allow you to display all of your photographs in the largest possible format and of course save space. They also reduce the need for scrolling. They are really the only way to showcase beautiful images. 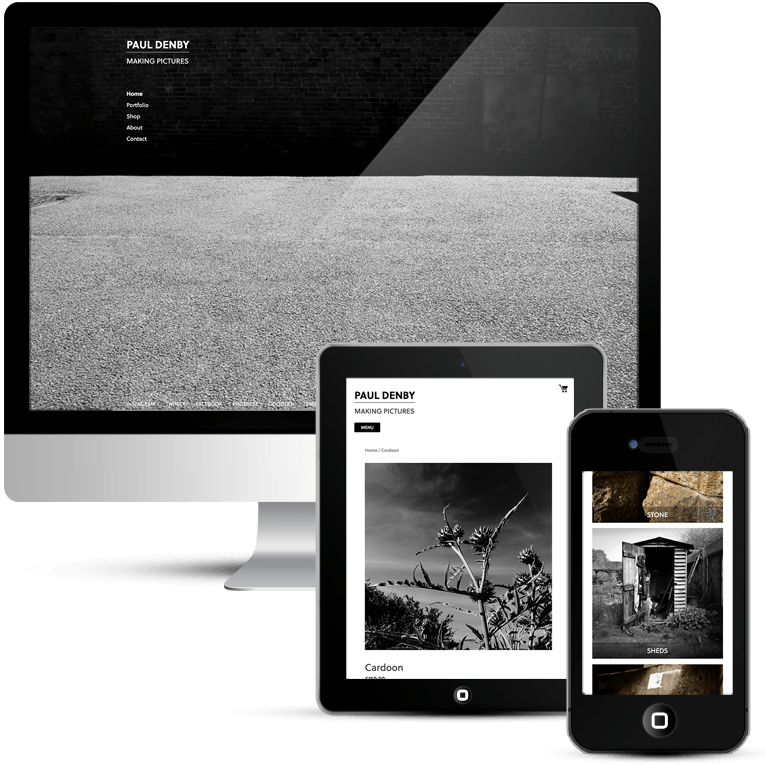 It is a great interactive experience for the visitor, particularly here on Paul’s website where the portfolio has been broken down into categories with a gallery for each one. I think sometimes people just want rotating images for the sake of having something that moves. It is well known that visitors don’t look at them and 99% of the time they scroll before the slider has even started. They serve to confirm to the marketing department that their latest offer is on the home page but that is about all. Carousels on business home pages are usually missed and the main reason is because people just see them as advertising. In my view, unless you have a portfolio to show off, they have very little value. In all the testing I have done, home page carousels are completely ineffective. For one, anything beyond the initial view has a huge decrease in visitor interaction. And two, the chances that the information being displayed in the carousel matches what the visitor is looking for is slim. So in that case the carousel becomes a very large banner that gets ignored. In test after test the first thing the visitor does when coming to a page with a large carousel is scroll right past it and start looking for triggers that will move them forward with their task.